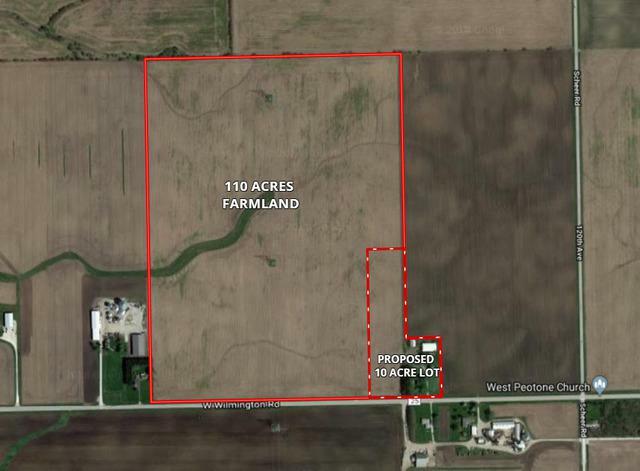 110 acres of farmland on well traveled Wilmington-Peotone road. Farm has a total of 120 acres. 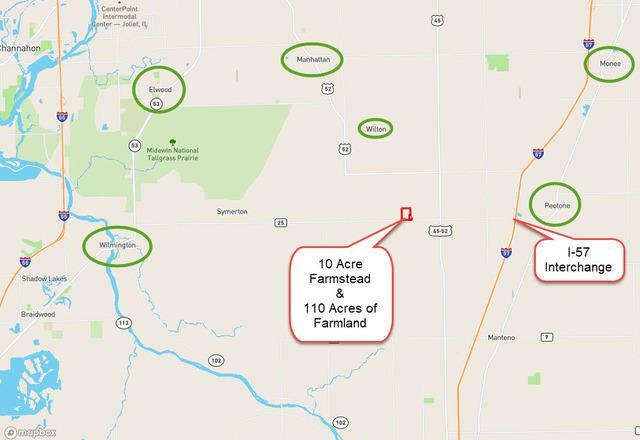 10 acres and farmstead are being sold separately. Good quality farmland. 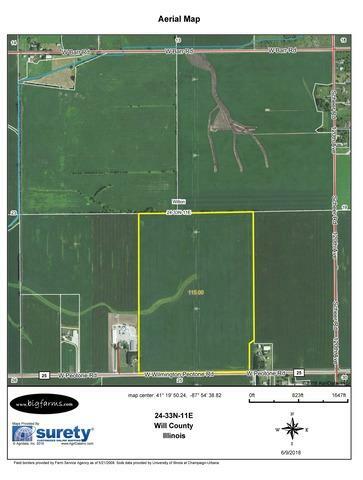 10 Ac MLS# 10052280. Sold by Lorenz Auctions And Real Estate. Listing provided courtesy of Goodwin & Assoc. Real Estate Llc.